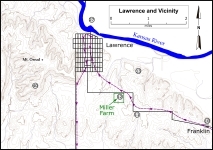 As it was nearing dawn on August 21, Quantrill halted on the high ground southeast of Lawrence to get his men ready for the attack on Lawrence. 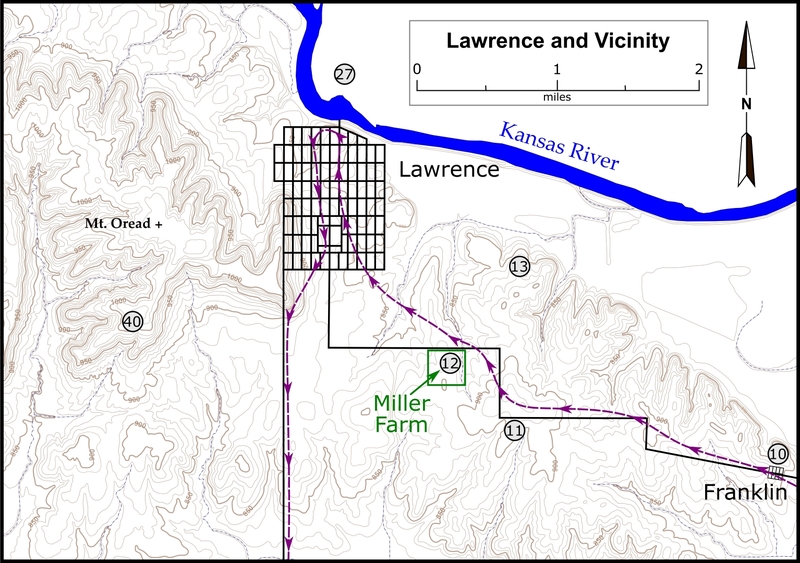 Map of Lawrence and vicinity showing location of the Summit tour stop. Click on thumbnail to load high resolution version of the map.